Olivia Mackay and Micah Wilkinson claimed victories as Red Bull Foiling Generation got off to a flying start to the 2016 season in New Zealand. 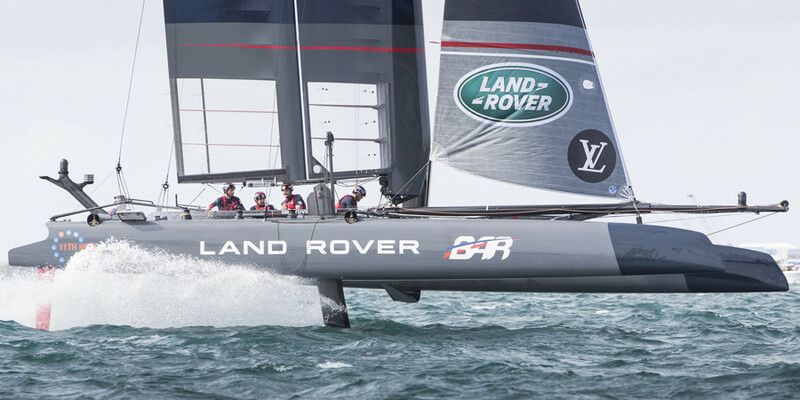 The series created by sailing legends Roman Hagara and Hans Peter Steinacher started its second season at the Royal New Zealand Yacht Squadron in Auckland, with Mackay and Wilkinson crowned national champions. 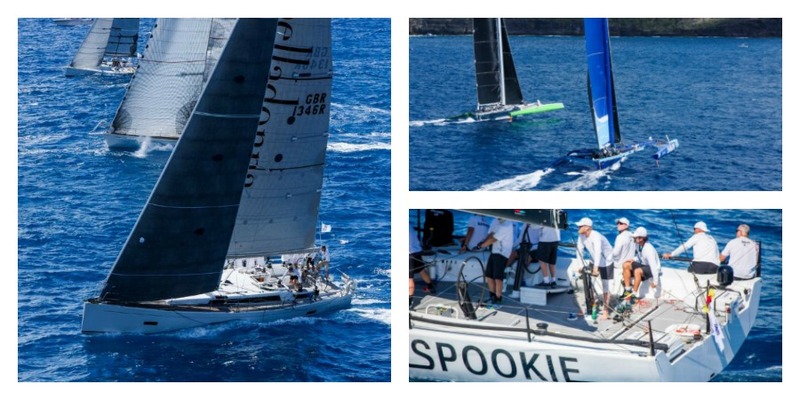 This October, they will battle the world’s top young sailors in the first-ever World Final. 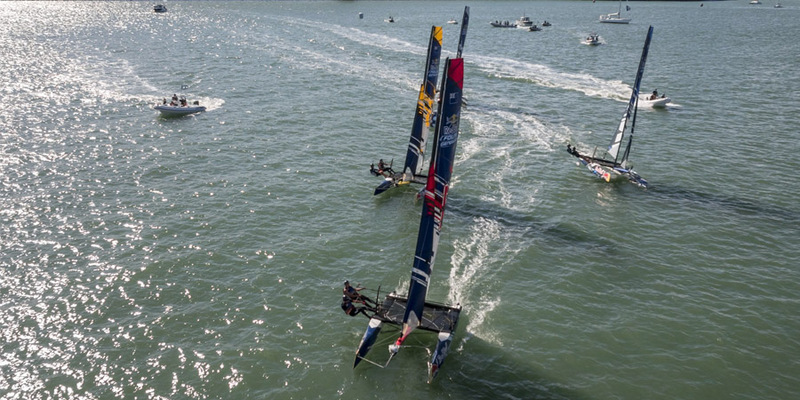 The City of Sails witnessed a new kind of sailing regatta at Red Bull Foiling Generation Auckland on Sunday, as Mackay and Wilkinson emerged from three days of knock-out heats on foiling catamarans to be named New Zealand’s national champions. Set against the backdrop of the Harbour Bridge, the 16-team youth sailing event kicked off a 2016 season that will span eight countries, culminating with a World Final in the USA in October. The racing in the final was of a high grade, with the lead exchanged twice between first and second place (Trent Rippley and Issac McHardie). In the final leg, it was a straight high speed foil run towards the finish, where the winning boat dramatically capsized right on the finish line as Mackay and Wilkinson took the victory. 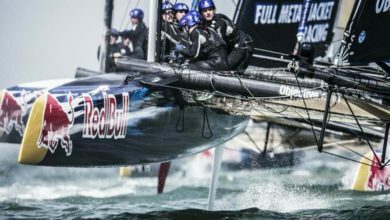 Created by double Olympic champions Roman Hagara and Hans Peter Steinacher as a search for the best young talent, Red Bull Foiling Generation introduces skilled sailors aged 16-20 to the future of sailing: foiling. Each two-person team races on the Flying Phantom, a super lightweight, multihull catamaran capable of reaching speeds up to 35 knots (nearly 40mph) that is similar on a smaller scale to the watercraft used in the America ́s Cup. Members of Swedish Youth Challenge and All In Racing of Germany compete during the third race of the Red Bull Youth America’s Cup in San Francisco, California on September 2, 2013. 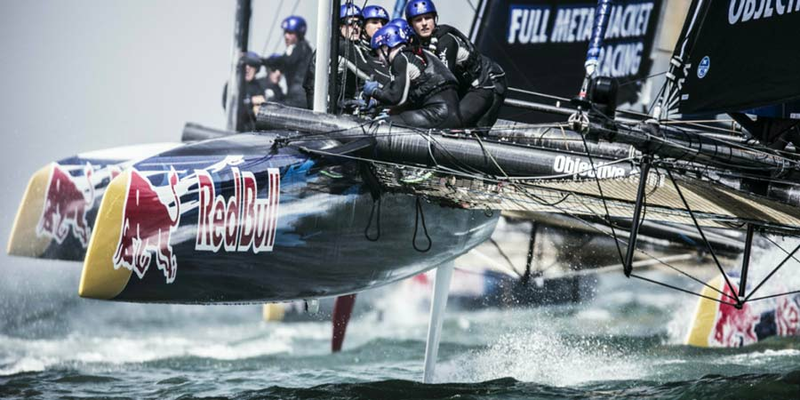 Red Bull Foiling Generation sees the hulls lift over the water in eight countries in 2016. 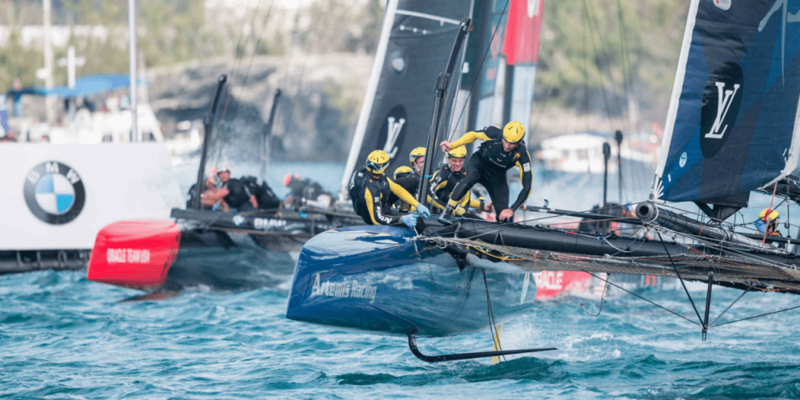 In addition to New Zealand, regattas will take place in Turkey, Germany, Switzerland, The Netherlands, Spain, Belgium and the USA, followed by a World Final featuring 15 national champion teams. 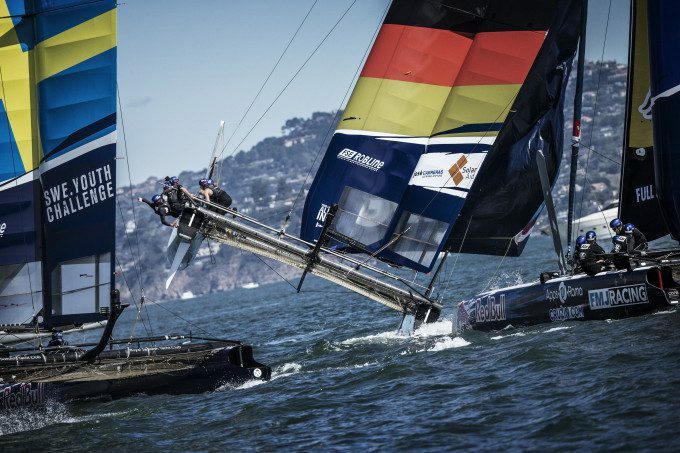 Hagara and Steinacher are the series sports directors – the double Olympic champions from Austria are also in charge of staging the Red Bull Youth America’s Cup 2017 and are the masterminds of the Red Bull Sailing Team participating in the Extreme Sailing Series.